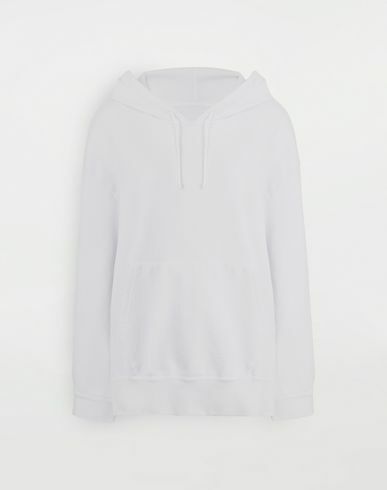 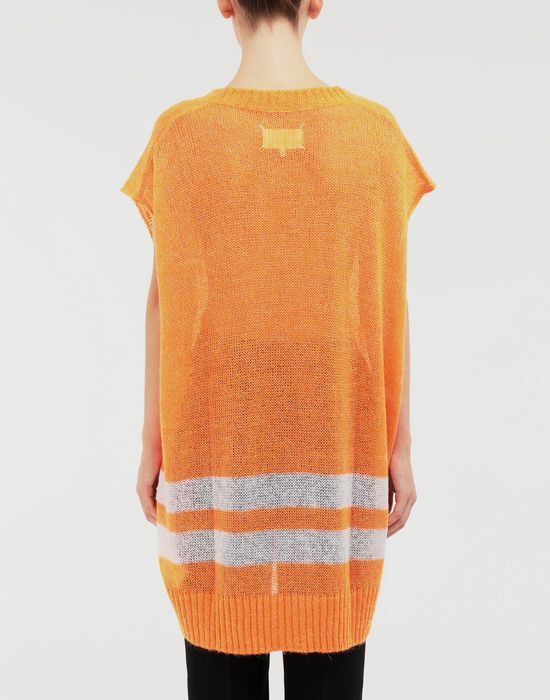 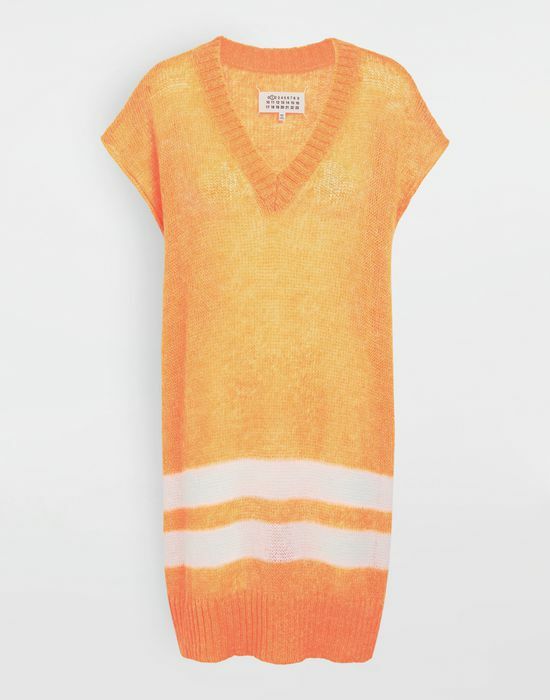 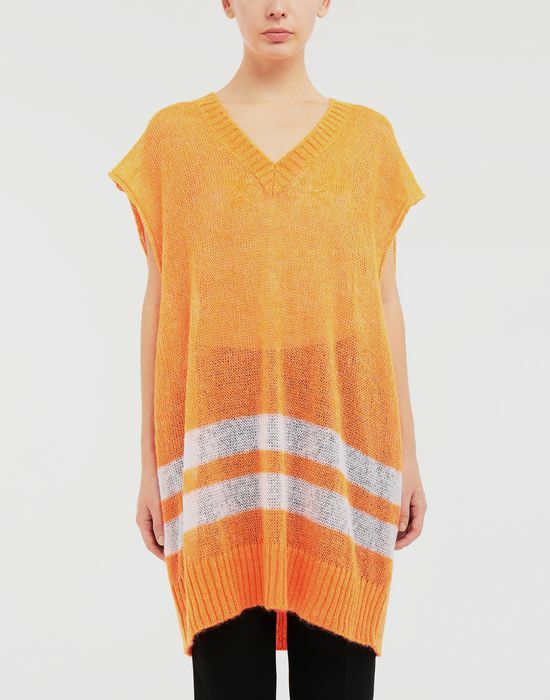 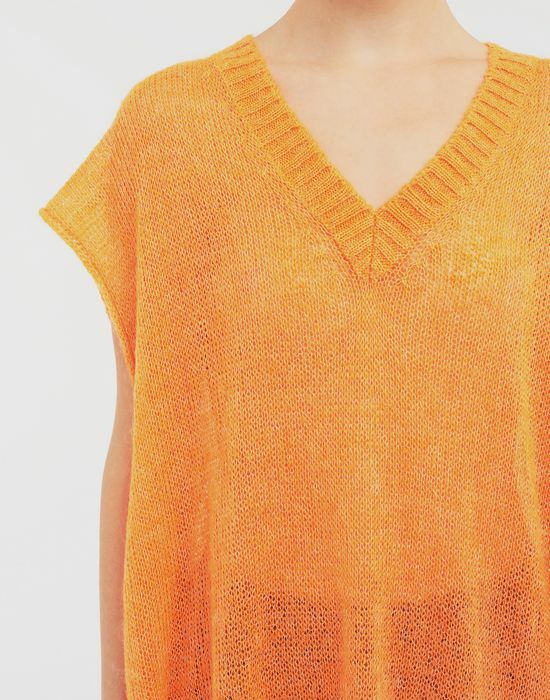 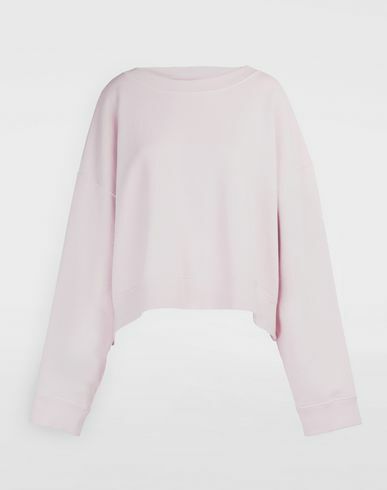 This workwear-inspired, neon oversized top is crafted from knitted mohair-blend. 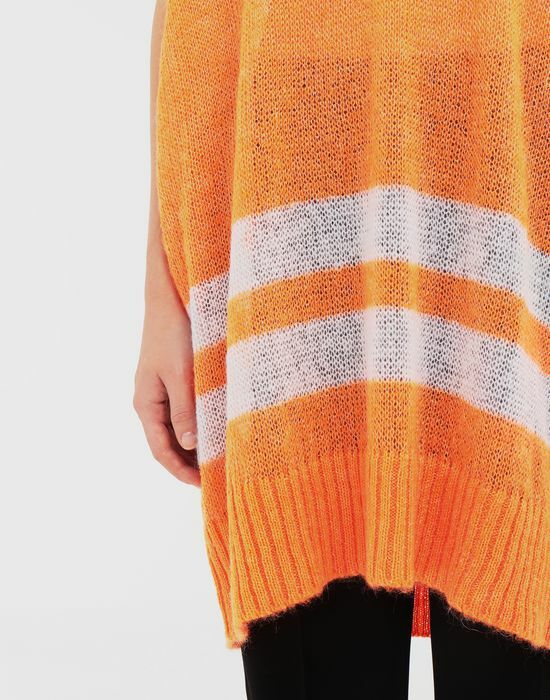 Two wide sportif stripes line the bottom of this piece, followed by large ribbed hem. 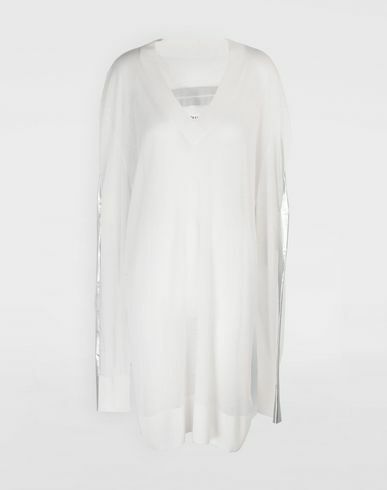 A striking Décolleté and capped sleeves offer the Maison's 'Relaxed Glamour' concept.